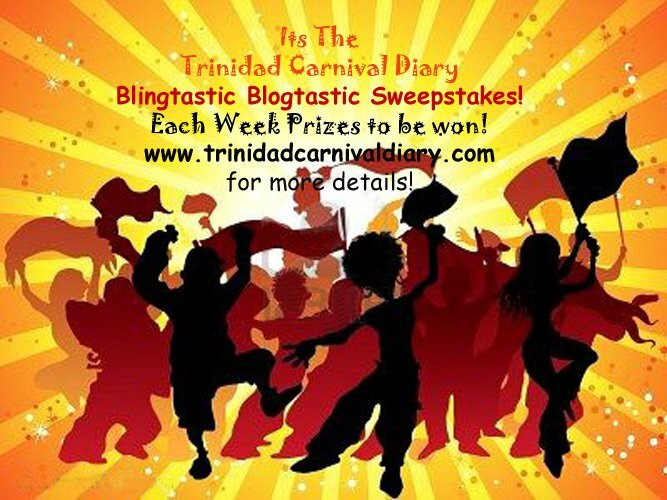 Trinidad Carnival Diary's Blingtastic Blogtastic Sweepstakes! LOTS of Prizes to be Won: Fete Tickets, Pan Limes, J'ouvert Packages and more! Check her blog tomorrow, January 31st for the start of the Competition!